Jean-Claude Juncker has proved, again, to be a master of compromise. The composition of the new European Commission, the distribution of portfolios and the new structure reveal the veteran prime minister's exceptional skills to manoeuvre among many and various interests. For the first time, the European Commission looms up as a very strong and independent body, which will not only be a guardian of the treaties but will also draft the future. Consciously or not, the EU has made a huge step forward in its institutional consolidation, especially bearing in mind that this did not lead to a long and painful drafting of a new constitutional treaty. The new structure of the Commission is the latest illustration of this. Starting from the reform of the economic governance, which passed with minimal Treaty changes, and coming to the landmark European elections this year which, for the first time, provided an opportunity for genuine pan-European politics. The result is that the Commission president has been elected by the grassroots and not, as before, by being appointed by the member states. He campaigned, competed with other candidates nominated in the same pan-European democratic way by the other European political families. Then, he squeezed the Treaty to the maximum and instead of obeying the member states he participated actively and, at times, he even led the process of appointment of Commission members, which was a sole responsibility of the member states so far. In order to be able to balance between small and big member states, between poor and rich, the European Parliament's demands and the Council, men and women, and the different political families, Juncker advised the member states to choose wisely who to send to Brussels. Some of them proposed more than one candidate to allow the broadest possible choice for the former prime minister of Luxembourg. The outcome of all this lobbying, negotiations and balancing is a multi-layered compromise with a huge potential for significant change. First of all, it was the approach. 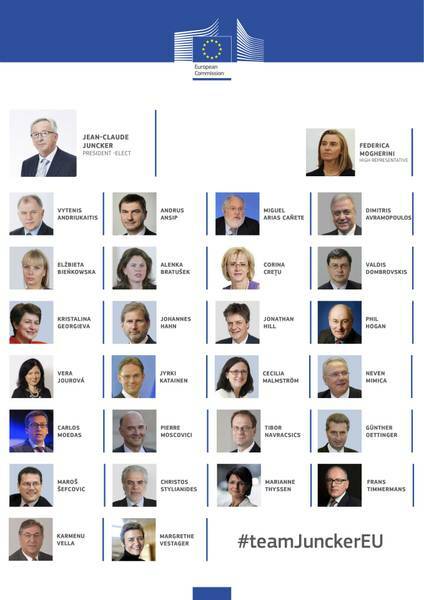 Juncker did not want candidates with portfolios, but serious professionals. The countries that took that advice seriously and proposed elite candidates were awarded the most important portfolios and positions. Those who failed to overcome domestic political and internal party wrangling and sent weak candidates got weaker portfolios. At a first glance, it seems that the interests of the member countries have prevailed, but a cautious analysis of the overall structure and mandates of the Commission members shows that the member states have been circumvented for the first time. 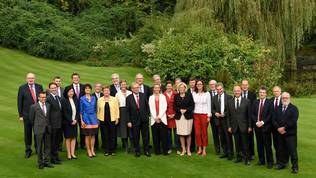 By "law", the members of the Commission are supra party and supra national European officials. The EU construction and especially the environment after the European elections allow for partial politicisation of, at least, the process of composition of the Union's executive. And this year, more than ever, the political lobbying and national pretences were great. 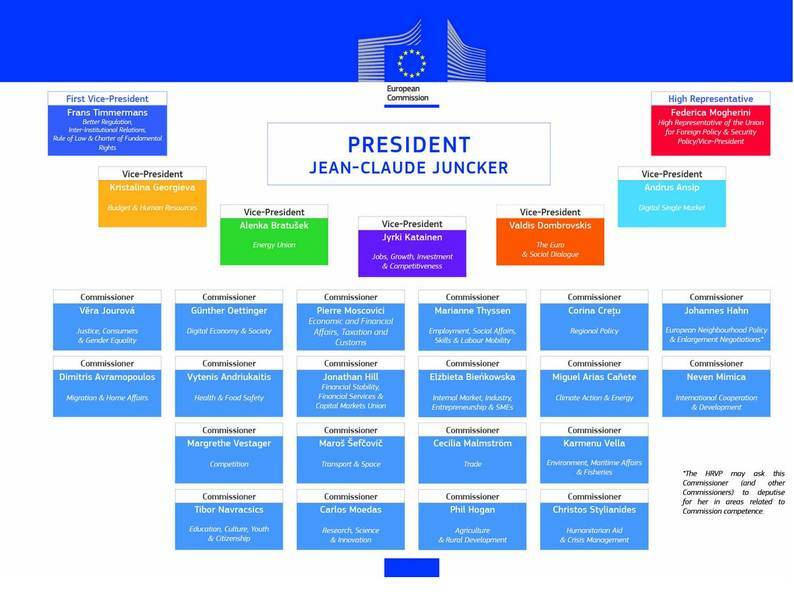 The greatest novelty in Juncker's Commission is the establishment of an inner cabinet of vice presidents. Their selection is very precise and reflects, most of all, the experience and independence of those appointed - independence from their countries and domestic politics. 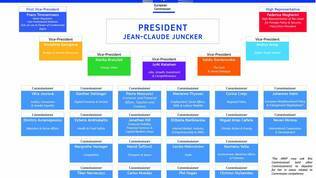 Initially, Jean-Claude Juncker said he would appoint only former prime ministers on the key vice presidential positions. However, he made an exception with Kristalina Georgieva and Frans Timmermans. All the other deputies (without the high rep for foreign policy) are former prime ministers. Moreover, they come from countries that have proved their strong commitment to the EU, did not create problems and were more or less responsible. None of them represents a country that was part of an adjustment programme. For the first time (formally) the Commission will have a first deputy after the model of first deputy prime ministers in some member countries (Croatia, for instance, has a first deputy prime minister who has more powers than the others). In his second Commission, Jose Manuel Barroso created such a position by enhancing the functions of the commissioner responsible for economic and financial affairs. At the time, that was Olli Rehn, a Finn. Although he was not officially a first deputy, Olli Rehn was practically the former Portuguese prime minister's right hand. 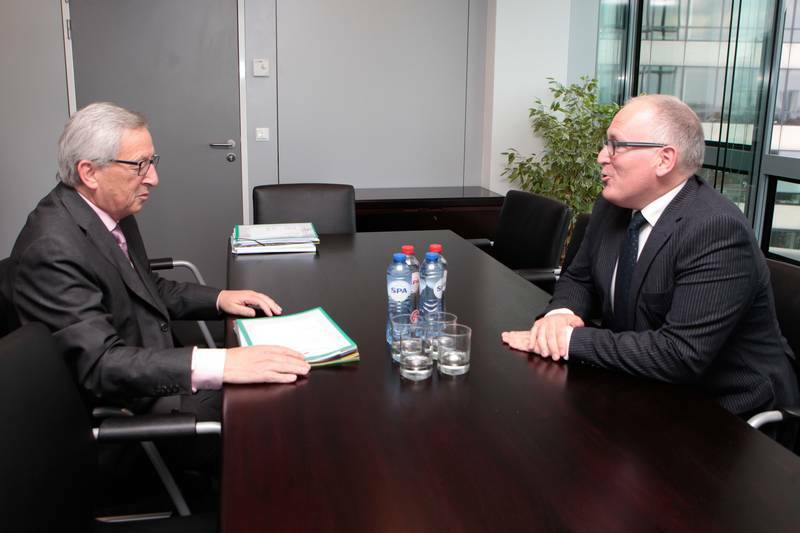 In Juncker's Commission, the right hand is Dutch Foreign Minister Frans Timmermans. A very strong figure at European level, very active in offering visions about the EU future. In the past years, often could be read articles of his in big European newspapers, in which he presented his views about the deepening of the integration in the euro area and the EU at large. He is also one of the reformist inclined politicians in the EU, which is a strong signal that Juncker, indeed, has a reformist agenda for the next five years. Mr Timmermans demonstrated in the past years independence and leadership. One of his remarkable activities was his speech at the UN General Assembly on the occasion of the downing of a Malaysian passenger airplane with tens of Dutch citizens on board over Eastern Ukraine by pro-Russian "rebels" funded by the Kremlin. A brief and emotional speech which revealed his values. Frans Timmermans will be responsible for "better regulation", which, translated, means that he will seek a simplification of the regulation at EU level. He will also supervise the inter-institutional relations (the European Parliament and the Council). What is of great importance for Bulgaria specifically is that Frans Timmermans will be responsible also for the rule of law and fundamental rights. Bulgaria joined the EU on 1 January 2007 with a safeguard mechanism, the purpose of which was to monitor reforms in the judiciary and the fight against corruption and organised crime. The lack of progress under the Mechanism and even the several steps back Bulgaria made in the past years, forced The Netherlands to impose a veto on Bulgaria's accession to the Schengen area of security. The Dutch government put a pre-condition Sofia to first earn a good report under the CVM and only then to continue its integration with the EU. This has still not happened and that is why it is very telling that this portfolio has been given to a Dutch. In the end of the past political season, Barroso's Commission presented a communication for the establishment of a common European mechanism to detect violations of the rule of law and the EU system of values in general, after it became clear that Bulgaria and Romania are not the only countries with weaknesses in this regard. 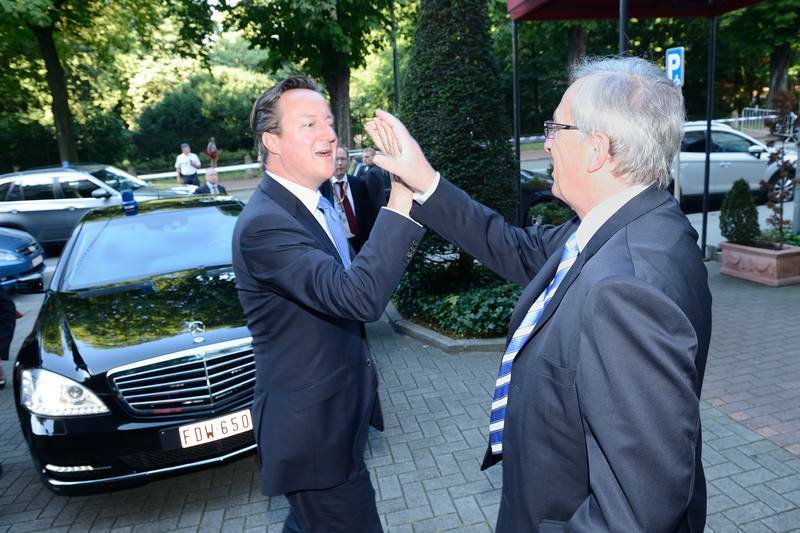 In this sense, Jean-Claude Juncker stuck to his promise for consistency with Jose Manuel Barroso's work. As a matter of fact, the new mechanism was drafted by Barroso's deputy Viviane Reding, who is also from Luxembourg. This is another stroke of Juncker's consistency. 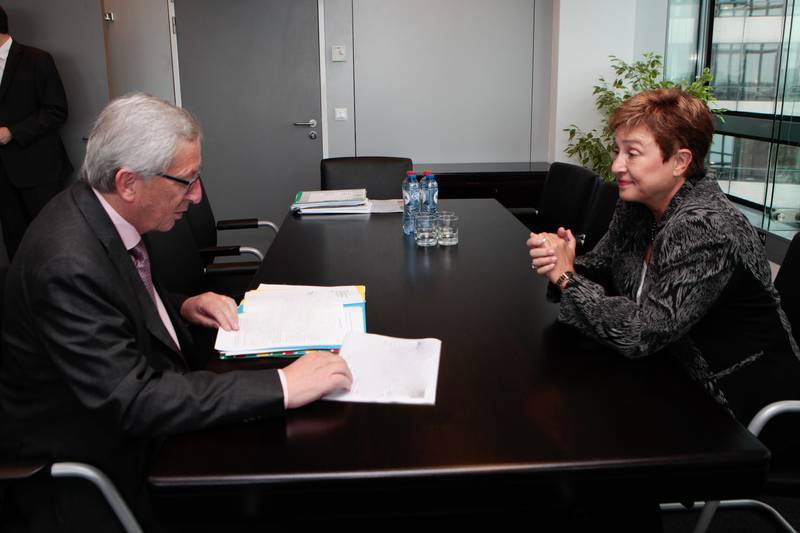 The Commission chief will also have a "left" hand and that is the Bulgarian Kristalina Georgieva. In the Commission structure, the vice presidents will have a "strategic filtering role". As a rule of the Commission, the president will not propose an initiative or a new programme unless he had secured the support of the relevant vice president. However, he will pay special attention to the opinion of his first deputy and Kristalina Georgieva's who will be responsible for the budget and the human resources. He presented her himself as his second right hand. This is evidence of the huge respect Ms Georgieva has earned. In spite of the great reluctance of Bulgaria to nominate her and the pressure that was exerted on the government in Sofia, the fact that she received such an important role in the Commission is entirely her own merit. The lack of strong support in Bulgaria as well as her weak party commitment (Kristalina Georgieva is not a member of GERB) were a sufficient condition for Juncker to place her in his inner circle because his desire is obvious to protect himself from pressure by the member states. Finland's former Prime Minister Jyrki Katainen is the third vice president who gets a very important portfolio - A new boost for jobs, growth and investments". Katainen's selection is logical given that, so far, the young Finnish politician proved himself as consistent, straight and with very strong pro-European orientation. As he described himself during his hearing in the European Parliament last year, he belongs to the first Erasmus generation. It is that speech of his in Strasbourg that illustrates why Juncker chose to keep him closer - he has a very clear vision about the problems in the EU and insisted for a fair integration. Although he is coming from the left side of the political spectrum, Jyrki Katainen is known in the EU with his insistence on strict fiscal discipline and reformist approach. The notable presence of former Baltic prime ministers in Juncker's closest governance circle is as telling about his ambitions for reforms. He surrounded himself with two former Baltic prime ministers - of Estonia and of Latvia. Both countries are textbook examples of overcoming crises and creation of "tiger-like growth". Andrus Ansip gets a very underestimated but crucial portfolio - the digital single market. There is no one better for the job than Estonia's former premier - the country with the most advanced e-government in the world. The digital economy is one of Jean-Claude Juncker's greatest priorities because this is not only the future but already the present. Precisely in this area there is no single market in the EU. A step in the direction of building one was the work of the previous Commissioner Neelie Kroes to remove roaming and her entire digital agenda. Andrus Ansip is also among the veteran prime ministers with more than one term in the seat. Valdis Dombrovskis is the other Juncker deputy with, may be, the hardest but crucial portfolio - the euro area integration. The former Latvian prime minister, who resigned because of the collapse of the roof of a newly built supermarket, was one of the candidates for Herman Van Rompuy's successors as European Council president. He is largely respected in the EU. Latvia has been a member of the euro area since January 1 this year and its experience with overcoming the 2008 crisis, when the country lost in a very short time a huge part of its gross domestic product, has always been an example in the EU for the speed and determination to overcome the crisis. Currently, this is one of the few countries in the Union with dynamic growth - between 3% and 4%. His work will be, again, a continuation of what has been done so far - as a basis for his work will serve the report of the four presidents as well as the personal project for deepening of the integration in the euro area of Jose Manuel Barroso. Therefore, the portfolios in Juncker's Commission should be divided into two groups - portfolios of the present and of the future. Mr Dombrovskis's portfolio is from those of the future. Slovenia's former Prime Minister Alenka Bratusek also received a key portfolio of the future - the Energy Union. Initially, it seemed that her appointment was the result of the gender compromise. In such a spirit was Jean-Claude Juncker's statement. However, there are some facts in Alenka Bratusek's biography that suggest this was not the only criterion to choose her to head this very sensitive and difficult portfolio, especially in the current geopolitical environment. Ms Bratusek demonstrated, during her brief stay as a premier of the tiny former Yugoslav republic, very strong character and determination to save her country from default. Slovenia is the only, practically bankrupt, country that managed to avoid an adjustment programme of the Troika. Under Ms Bratusek's leadership a Slovene programme was developed to tackle the crisis thanks to which Slovenia in one year managed to turn from one of the most instable countries in the European semester to turn to everything-is-under-control regime. She managed in a short time to consolidate the Slovene society and to lead her country to the recovery path, but she fell victim of an internal party coup. Bratusek is, in a sense, also a political orphan, like Kristalina Georgieva. Practically, she has no political future in her homeland which makes her completely independent and "free" to devote herself to a European career. And independence will be crucial during the building of the energy union. The idea to create an energy union belongs to Poland's Prime Minister Donald Tusk who has been appointed President of the European Council. This forebodes very good work and partnership between the Commission and Mr Tusk, whose main task will be to seek common positions on important European issues. Although in his mandate it is not explicitly written that he should work for energy security and independence, he will certainly help wholeheartedly to see his idea realised. According to the plan, the vice presidents will be leaders of the Commission's policies and the commissioners will be the "players". The deputies are permanent, but the portfolios of the commissioners are not. The vice presidents will lead and coordinate the work of the commissioners, but everyone will depend on everyone. The commissioners will need the support of the vice presidents but the latter will depend on the contributions of the commissioners. It is more than clear, though, that the vice presidents will be the bosses. So, the initial impression that Juncker succumbed to France's pressure and gave the burdened with very high expectations economic and financial portfolio to the former French Finance Minister Pierre Moscovici is wrong. If in Barroso's second Commission this was, indeed, the strongest position, in Juncker's "cabinet" this is not true. Two former prime ministers will be above Moscovici's head - Jyrki Katainen and Valdis Dombrovskis. 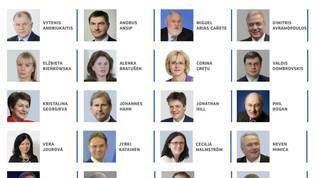 So far, Olli Rehn and his team were responsible for the main part of the Commission's economic policy and prepared the greatest part of the European semester. Now, this will be Mr Dombrovskis responsibility in close coordination with Jyrki Katainen. The former Latvian premier will supervise the European semester, will coordinate, present and implement the initiatives to enhance the convergence of economic and fiscal policies of the euro area member states. When presenting his Commission, Juncker said, responding to a journalist's question, that Moscovici will represent the Commission in the Eurogroup, but it is clear that he will not be independent in his decisions. France's pressure was very strong to get this portfolio, promised by Juncker himself to the Socialists in the European Parliament. However, Moscovici does not have a good track record of reforms and implementation of the country-specific recommendations. There was a real danger, if given the position, to influence strongly on the Commission's economic policy. But now his hands are tied and this is expected to be very evident in the end of October when the next cycle of the European semester will begin with the annual growth survey and the intermediate review of the implementation of the country-specific recommendations, which have shown for several years in a row that France needs serious reforms, but is unwilling to do them. France emerged as one of the non-reforming countries. A new front is emerging against the current economic policy of the Commission, led by Italy. For now, it seems that France's attempts to avoid reforms will not pass because Italy's Prime Minister Matteo Renzi looks determined to radically change the obdurate Italian politics and economy. There were controversial reactions on some of the other appointments with strong national taste. The picture, though, is very well balanced and behind every decision there is deep analysis and reason. The countries that do well in certain areas or are not a source of problems received portfolios of the future. Nations that are in trouble in certain areas received portfolios of the present (which means to resolve current issues). Such is the case with the portfolio of the Greek commissioner Dimitris Avramopoulous who received the new portfolio "Migration and Home affairs". In the social networks and media there was heavy criticism and even sarcasm that the country that cannot safeguard EU's external border received this portfolio. As a matter of fact, though, this is a very good idea because the refugee flows are a serious challenge for any country and therefore for the entire Community. Being deeply aware of the problems his country is facing, Mr Avramopoulous could contribute significantly to a change of the European legislation, which is not fair at all in this area. Practically, the internal countries refuse to cooperate and believe that the external ones should handle the constantly growing flows of refugees and migrants on their own. The British commissioner, Jonathan Hill, received exactly what the UK wanted the most and is mostly interested in - "Financial stability, financial services and capital markets". 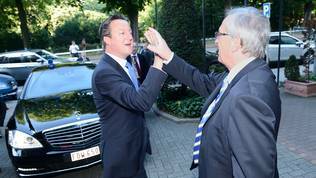 The reasons Juncker to "succumb" to the British pressure are two. First, the UK's economy is, to a large extent, dependent on financial services. The country is in this sense a "specialist" on this. Secondly, after the severe clash between the EU and London around the election of the new European Commission chief, giving this portfolio to the British commissioner is a sign for reconciliation. A guarantee that Jonathan Hill will not fall into a conflict of interest is that he is only a commissioner and his work will be supervised by a large part of the vice presidents. Elżbieta Bieńkowska, the former deputy premier for regional development of Poland, is a commissioner for the "Internal market, industry, entrepreneurship and the small and medium-sized enterprises". Again, a very good choice, given Poland's experience in all these areas. Hungarian Foreign minister Tibor Navracsics got the weak portfolio of "Education, Culture, Youth and Citizenship". Hungary, under Viktor Orban's rule, emerged as a problematic member who is not only not trying to absorb the European values but is even fighting them. That is why, it is a logical choice Jean-Claude Juncker to give the Hungarian candidate a portfolio with less EU in it. Education and culture are one of the areas where the cooperation at EU level is the weakest. A good decision is also the appointment of Marianne Thyssen (Belgium) for commissioner for "Employment, social affairs and labour mobility". She was one of the very active members of the influential economic committee of the European Parliament and was a rapporteur on many of the important dossiers on the reform of the economic governance. Her experience in this area is huge and her appointment will ensure good cooperation with the European Parliament which, precisely in this area, will be badly needed. The other portfolios are not insignificant but there is no big controversy there. May be the only bad news from the new Commission is related to enlargement. In some of the intentionally leaked drafts, there was even no mention of enlargement at all. This caused severe criticism, including on behalf of committed to enlargement foreign ministers, like Sweden's Karl Bildt. In the Commission's final composition, this criticism is taken into account but by entirely reflecting Jean-Claude Juncker's position that in the next five years there will be a pause in enlargement to enable consolidation of the EU. Not that there is no need of such a pause. There is. The problem is, however, in the current geopolitical moment. Right now this is very dangerous. In the new Commission, there is a portfolio "European neighbourhood policy and enlargement negotiations". The first part of the title reflects all the crises along EU's borders as a major priority, but the second part clearly suggests that the Juncker's Commission will focus only and solely on those countries with which it is negotiating. This automatically excludes Macedonia and Bosnia and Herzegovina with which no negotiations are opened but they are the most difficult and dangerous cases in the Western Balkan region. To some extent, it is a good news that the commissioner for enlargement will be an Austrian - Johannes Hahn - a country that is strongly committed to the Western Balkans. Nonetheless, the risk is huge, especially bearing in mind that the two countries not only do not progress, but they are even falling in deep crises which will only make the task of fully integrate them some time in the future harder. That is why, it will be of huge importance what an approach will Mr Hahn choose and how will he cooperate with High Representative Federica Mogherini in finding a solution to the problems. Let us hope that, formulated in this way, the title of the portfolio does not mean that even if they are ready no negotiations will be launched with these countries. Or at least that a new form will be sought to restart the European integration processes in these two countries. More than ever, the Commission should avoid turning its back on these countries and the region as a whole and should, instead, try to be innovative, creative and, most of all, show political responsibility against the backdrop of the clearly stated position by Moscow that the Balkans are a sphere of influence. And here, again, a strong role is expected to continue to play Croatia which has already achieved a lot by putting the Western Balkans in the spotlight of the member states. It was quite telling, therefore, that a conference took place in the beginning of September in Berlin, which gathered together the heads of state or government of the countries from the region. In the beginning of July, at Croatia Forum in Dubrovnik, Italy's Foreign Minister and newly elected EU high rep for foreign policy Federica Mogherini acknowledged, in her capacity as presidency representative, that in the Union there is not only enlargement fatigue but also fatigue from the Union itself. This, according to her, should be very well realised and we should work "together" to find a solution. "We do have our homeworks to do on the integration of the Western Balkans, which is to make clear to our parliaments and public opinions that there is a strong link between the fact that the integration in the region is a value and is an interest for all of us and not to pretend that this is not linked to the EU perspective. If the integration in the region is working that is because of the European perspective. Our public opinions cannot think that peace can be there forever if we weaken the European perspective of the region", Mogherini said then. The Dutch Foreign Minister Frans Timmermans also attended the forum and made one of the most brilliant and sincere statements. He said in Dubrovnik that the biggest threat to the European integration is division within the Union. He warned that enlargement needs the approval of national parliaments and with the current eurosceptic situation this will get harder and harder. Mr Timmermans, too, shares the opinion that there is a need for a pause of enlargement, but in the same time it is necessary to secure strong support for it because it means free movement. 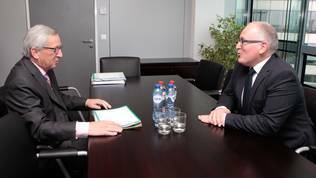 Generally, these two important deputies of Juncker's have good knowledge and understanding of the region, but a strong contribution could have Croatia's Commissioner Neven Mimica as well, who received the "International Cooperation and Development" portfolio. A strongly criticised portfolio by Croatian media, but as vague as it may seem it holds huge potential for influence on strategically important for the EU countries and regions. And the Croatian experience in the region could have a very strong impact on the entire Commission and could help transform the pause into a dynamic process of preparation. In this entire jigsaw puzzle, it is important to note that another, very well acquainted with the region, member of the Commission holds a key position with a very important portfolio - former Slovene Prime Minister Alenka Bratusek. The building of an energy union will not be smart unless the Western Balkans are also involved. So, there is a chance for the region. For now, reactions are moderate, but positive. Serbia's chief negotiator Jadranka Joksimovic said in an interview for Blic that the title of the portfolio "confirms the commitment and support of the EU to continue the process of European integration of the Western Balkan countries". More about the real intentions of the commissioners and the vice presidents we will learn during the hearings in the European Parliament, which start on 29 September. The first step, however, is promising and I hope that the European Parliament will show maturity and constructivity by not creating useless institutional crises at a time when the EU needs strong leadership.